Proper weld fume management is not only a moral and legal imperative. A safe and comfortable work place also improves productivity and quality and thus adds to a company’s competitive advantage. Lincoln Electric recommends a four phase approach to evaluating the kind of fume management your facility needs. Consider each phase as a possible solution for fume management in your facility. Each phase represents an increasingly involved means of reducing fume levels. If you determine that the phase you’re considering isn’t enough to help your facility, move on to the next one. This welder uses both source capture as well as a personal air-filtration system. Review the shop’s welding processes. It may be possible to reduce fume production by changing some of the materials you use. For example you may be able to substitute your current shielding gas with a cleaner alternative. If substitution isn’t enough, you may want to consider capturing fumes just as they’re generated. You can do this using vacuum extraction methods or through hoods set up over welding zones. Fume extraction systems come in a variety of shapes and sizes with varying vacuum intensities and air volume displacement abilities. This means you have a versatile range of options for fume management. If substitution and isolation aren’t feasible, ensuring that your facility has good airflow is a sound way to reduce fumes. 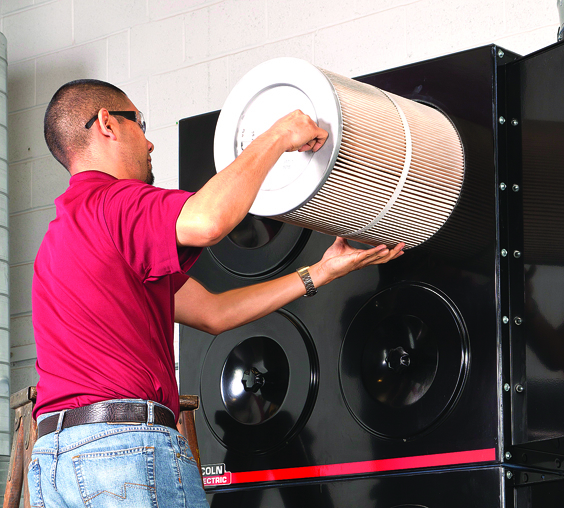 Maintaining the system by always using an OEM filter assures the air-filtration will meet original design specifications. Exposure to fumes can generally also be reduced by improving safety measures, using better housekeeping methods, utilizing improved personal protective equipment and even ensuring proper body positioning. For example, respiratory protection like dust masks, half masks and supplied air solutions reduce worker exposure to fumes. Yet, for these respirators to be fully effective, they must also be well maintained, fit properly, and, have clean filters. Also this equipment should be tested to make sure it is compliant to OSHA safety standards. By combining the use of better equipment with better housekeeping practices, you can drastically reduce fume exposure in your shop. Remember, although its recommended that you consider these phases in order, any improvements to your facility are a positive. Therefore, if using substitution and better housekeeping are both feasible ways of reducing fumes, don’t stop at substitution. If you’d like to read more about the four phase approach, check out Questions You Need to Ask about Fume Control by Christopher Brodnick and Jason Lange, in the August issue of the Welding Journal. 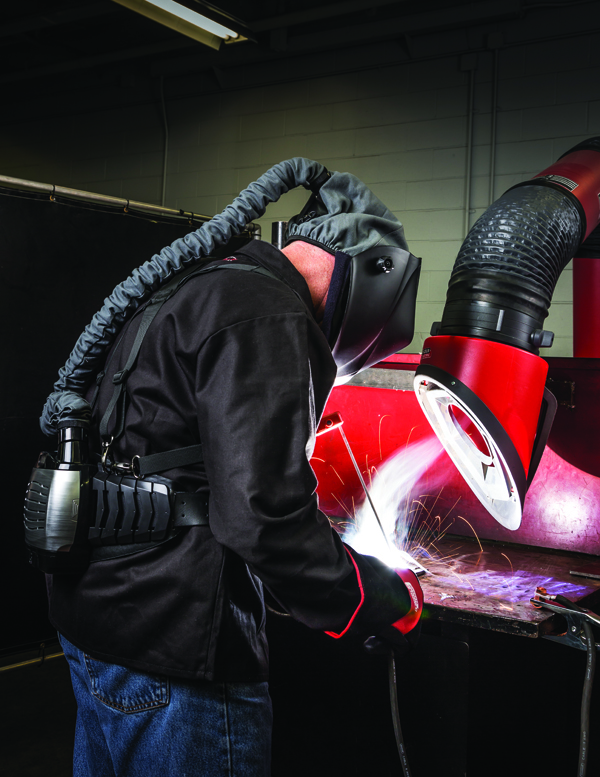 For even more information about steps you can take to help improve worker safety and reduce fume exposure, be sure to check out Weld Fume Management in Your Shop also in the August issue of the Welding Journal.